Massachusetts Attorney General Martha Coakley stopped at Dottie's Coffee Lounge in Pittsfield after announcing she's running for Governor in 2014. Massachusetts Attorney General Martha Coakley continues her statewide tour after announcing a run for Governor in 2014. Coakley stopped in Pittsfield on the second day of her three-day tour across the state. The North Adams native and Williams College graduate greeted patrons at a downtown coffee shop and reunited with childhood friends. She stressed the need for education improvements including longer school days and economic development at the former General Electric Plant in Pittsfield. Coakley echoed Governor Deval Patrick’s efforts to strengthen infrastructure in the Berkshires, but didn’t provide specifics on how she would accomplish that. Coakley also addressed her failed 2010 Senate campaign. She lost to Republican Scott Brown in a special election to fill the Senate seat held by Democrat Ted Kennedy for nearly 50 years. Coakley is citing her accomplishments as Attorney General in reducing energy and health care costs. Tommie Hutto-Blake is a member of the Democratic Berkshire Brigades. She came out to see Coakley during her visit and says she isn’t completely sold. Donna Walto was among the dozen or so voters who welcomed Coakley to Pittsfield. She says Coakley’s loss in 2010 is not a deciding factor this time around. Former state GOP Chair Jennifer Nassour says the current field of six Democratic gubernatorial candidates will hurt them. “For the Democrats it’s going to end up being a blood bath, a shoot-out in the O.K. Corral,” said Nassour. Berkshire County GOP Chairman Jim Bronson says Coakley and state Treasurer Steven Grossman are the top Democratic candidates. Bronson says Charlie Baker, who was the Republican candidate for governor in 2010, is in a one-horse race for the party’s nomination in 2014. Meanwhile, Coakley welcomes the crowded Democratic field. “I think we’ll have a spirited race and I know that at the end of that we’ll all work to make sure we have a Democratic Governor next time around,” said Coakley. 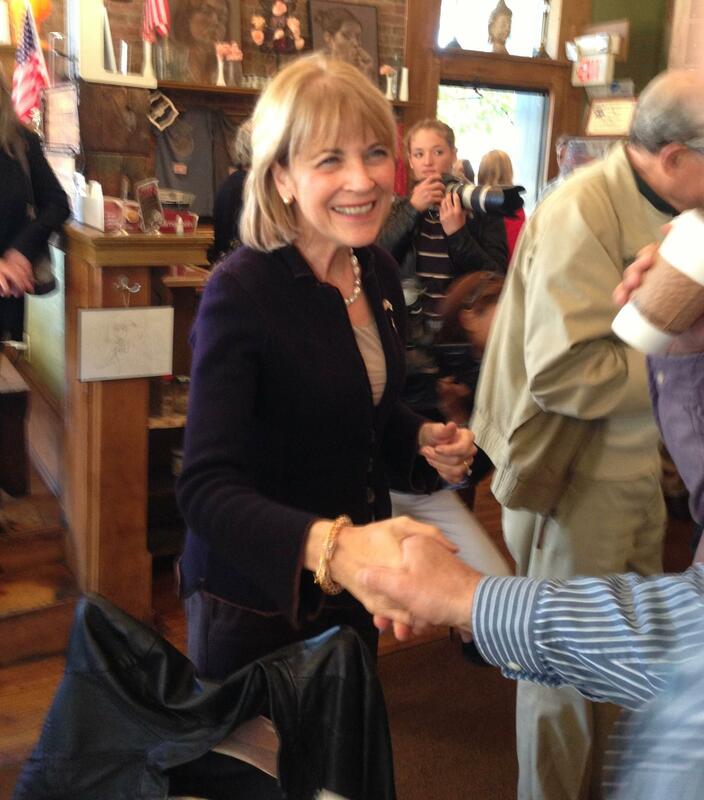 Coakley’s barnstorming tour continued this week with five scheduled stops, ending in Salem. Attorney General Martha Coakley brought her barnstorming campaign kickoff for governor to western Massachusetts today. Massachusetts Attorney General Martha Coakley has announced she will run for governor in 2014, but Democrats in the western part of the state are ambivalent.